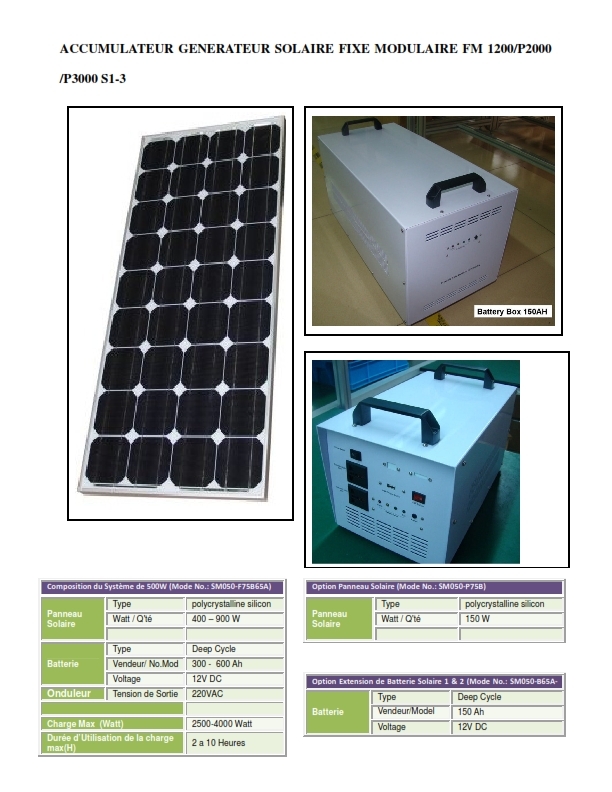 This kit includes: solar panels, a controller, an inverter (1200W – 3000W) and batteries of 150Ah. The components of our solar kits are: two or more solar modules, a controller, batteries and a special cable. These items are guaranteed and are optimized to ensure a long service life. The output voltage is 230V AC, 12V DC 05V DCand USB. Our kits are modular and can design individual solutions which are customized and scalable. For a correct dimensioning of your installation, our experts are voluntarily at your disposal to advise you.